Pinball, perogies and surf punk. What more could you ask for? The Huaraches are pleased as punch to be sharing the bill with some premium purveyors of salt watery rock. Details: Ottawa’s only surf, instro and garage rock festival is back for a second kick at the twist-rock can. 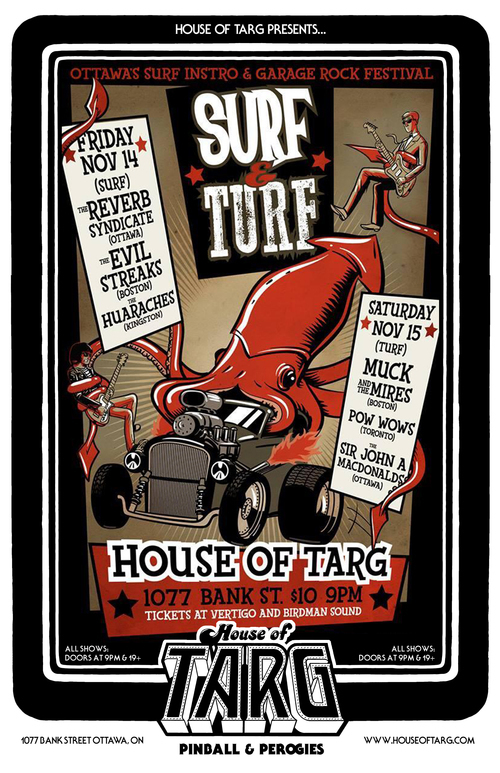 One night of surf and instro music, one night of garage rock madness, two nights of dancing!